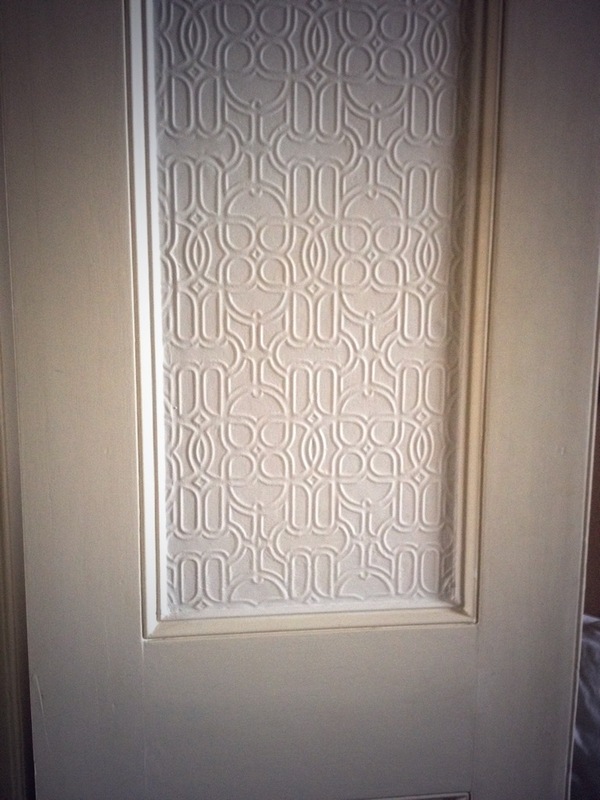 Apparently, whilst replacing a cold water storage tank in a Georgian apartment in Leamington Spa, my client’s plumber unfortunately “dropped” a cold water storage down a “Lincrusta” panelled interior door. As you can see from the photograph above, quite a chunk of material was taken from the door – exposing the woodwork beneath. 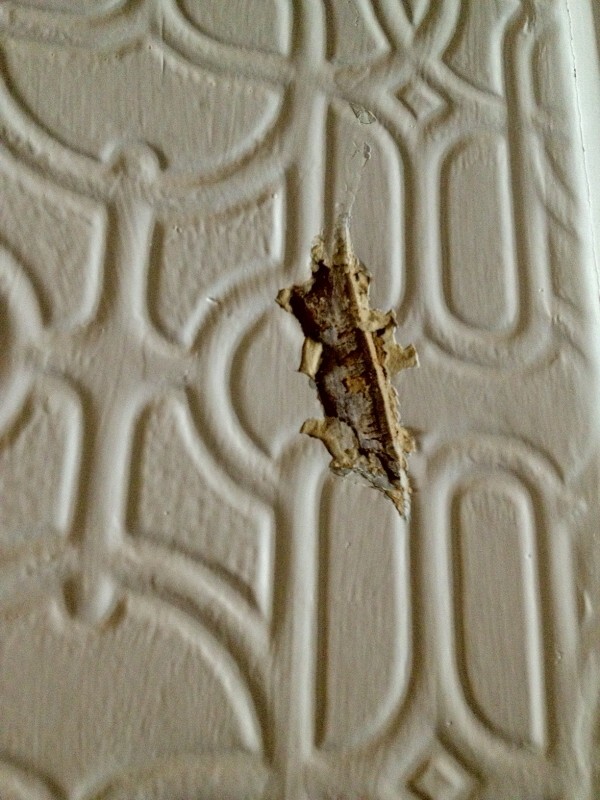 I quickly identified the covering as being “Cameoid”, an early derivative of Lincrusta, that is pulp based rather than Putty. I removed the door (all 8ft high of it) and repaired it at my workshop… going through a number of steps of cleaning, filling and shaping by hand, recleaning, refilling and reshaping. Above you can see the fruits of my labour… the panel had a quick couple of coats of Tikkurila Otex and was delivered back to it’s home. “Hi Martin, We are thrilled with the door repair – thank you so much. It is great for us to have such an amazing feature restored to it’s former glory”. This entry was posted in Uncategorized and tagged Cameoid, Lincrusta, Master, Master Decorator, Master Painter, Restoration, traditionalpainter on December 8, 2013 by mjguestltdblog.